If you hurry up, you can now enjoy cheap flights to Seychelles from Europe for really good price! Multicity tickets operated by Air Seychelles on route Paris – Mahe – Milan are now available for €394! Departure: 11., 12., 13., 14., 16., 18., 20., 21., 23., 25., 27., 30.9., 2.10. Return: 12., 14., 15., 17., 19., 22., 24., 26., 29.9., 1., 3., 6., 13., 15.10. Book fast via Ebookers to get this great price! 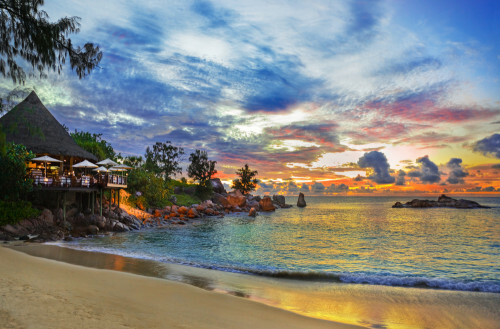 Seychelles offer plenty options for accommodation. While most of it is upscale luxurious hotels and villas, you can find also cheap guest houses starting at €43 per night for 2 people. « Cheap last minute flights: Leipzig-Ibiza for €107!